The term impurity is used to described material other than fiber which is found in raw or processed stock. Generally, impurities must be removed during the spinning process, so the type and amount of impurity is also of importance to the yarn manufacturer. Every natural textile fiber is made with a little bit of impurities which are totally unusable. Before use that fiber its need to remove those impurities from the fiber with keeps the useable part of that fiber. Various quantities of impurities and various types of impurities are included in textile natural fiber. Every natural fiber, impurities and quantities are given blew. Cotton is a uni-cellulose fiber. Cellulose is the use able and main part of the cotton fiber. 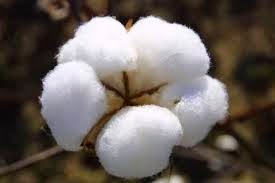 94% cellulose and 6% impurities are made a natural cotton fiber. The name and the percentage of impurities are given blew. NB: Cellulose is the main useable element in cotton fiber & the quantity of impurities and cellulose could be less or high. Jute fiber is a multi-cellulose fiber and the main useable element is cellulose in this fiber. Generally 65% Cellulose and 35% impurities are including in a jute fiber, It could be less or high. Percentage and the name of impurities in jute are given blew. NB: Cellulose is the main useable element in Jute fiber & the quantity of impurities and cellulose could be less or high. Wool is a natural animal fiber. 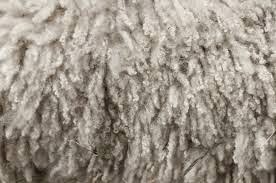 The authentic element of wool is keratin. 61% keratin and 39% impurities are made-up the natural animal wool fiber. The impurities are Wool Wax or grease, Suint, dirt, burrs, minaret meters, water and others. Let’s have a look of percentage. It’s could be less of high. Percentage and the name of impurities in wool are given blew. 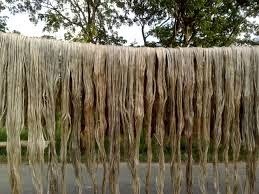 NB: Keratin is the main useable element in Wool fiber & the quantity of impurities and Keratin could be less or high. 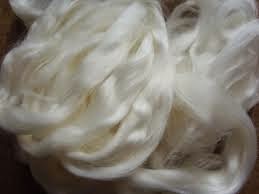 Silk is a natural animal fiber which one is produce from silk worm. Sericin is the main impurities in the silk fiber. Fibroin is the main element is the main part of the silk its called pure silk. Percentage of impurities of silk fiber are given blew. NB: Fibroin is the main useable element in Silk fiber & the quantity of impurities and fibroin could be less or high.